The origin of the Spring Valley Boat Club can be traced back to 1937. A group of friends who enjoyed fishing, swimming, and boating in the river heard of a building in Hennepin that was to be given away to anyone willing to take it down and haul it away. They decided to take advantage of this offer. The building was completely dismantled and reassembled at the site of the old ferry boat landing in Spring Valley. A waiting room for customers of the ferry boat landing originally stood on this site. A commercial artist for the Chicago Tribune, made a sketch on the first clubhouse during a visit. He later did an oil painting based on this sketch, which hangs in the club today. Membership gradually grew to about 25. Most of the boaters had rowboats. Fish fries were a weekly event year round. The depression was slowly winding down and people were able to afford more recreational activities. On March 27, 1943, the club members applied to the State of Illinois for a certificate of incorporation under the General Not For Profit Corporation Act. Edward J. Hughes, Secretary of State, approved the application on March 29th and the Spring Valley Boat Club was officially born. The object of the club as stated in the original By-Laws was to promote social and athletic activities, the sport of boating in the Illinois River Valley, and in connection with the foregoing establish and maintain a wharf or boat landing. The initiation fee was $45.00 and dues were $3.00 per year. In 1947, an icebreaker coming downstream created a large ice flow up around the bend, which swept away the floating boat club. Plans for the present boat club building started soon after that. Practically every trade was represented within the 60 members, so the new clubhouse was constructed for just the cost of the materials. In 1952, the club sponsored the Tommy Bartlett ski show, which introduced water skiing to the area. Moonlight dance excursions were popular events. Monthly socials provided the members with fine meals and dancing usually followed. The Women’s Auxiliary was also very active at this time. The Spring Valley Boat Club has continued to grow and many improvements have been made over the years. In the mid-sixties, con-tinuous corrugated metal roofing over all the docks started to replace individual covered docks in the harbor. The harbor was again expanded in 1979 to accommodate the increasing number of boats. In 1981, a permanent apartment was built next to the clubhouse, replacing the series of house-trailers that had been provided for the caretakers. To help protect the clubhouse and apartment from high water, a flood dam was constructed. In January 1999, construction began on a new 2,500 sq., ft. room addition for the club. The room addition was officially opened and used by the club for the first time for the breakfast held on June 6, 1999. Membership is currently limited to 110 with each member owning an equal share of the club. There are nine socials per year for the members and their guests. Annual events include a Shipwrecked Weekend and Annual Breakfast in June and Steak Fries in July and August, which are open to the public. 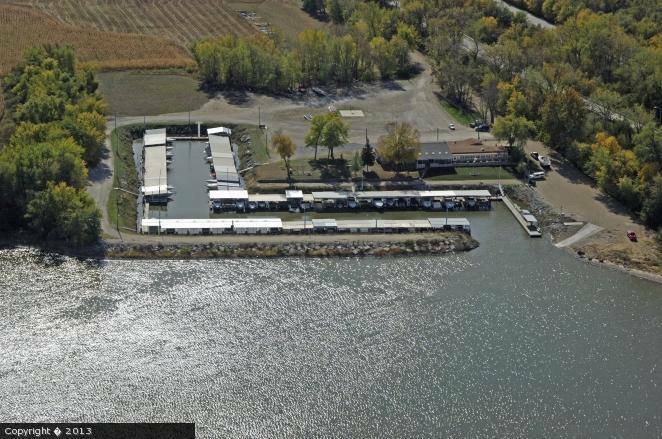 The club is the only sheltered harbor from Ottawa to Henry providing service 24 hours a day to customers and guests, welcoming all boaters to use the club facilities-monitoring channel 16.